Mortgage applications increased 5.8 percent from one week earlier for the week ending January 6, 2017. The refinance share of mortgage activity decreased to 51.2 percent of total applications from 52.2 percent the previous week. The average contract interest rate for 30-year fixed-rate mortgages with conforming loan balances decreased to 4.32 percent from 4.39 percent. 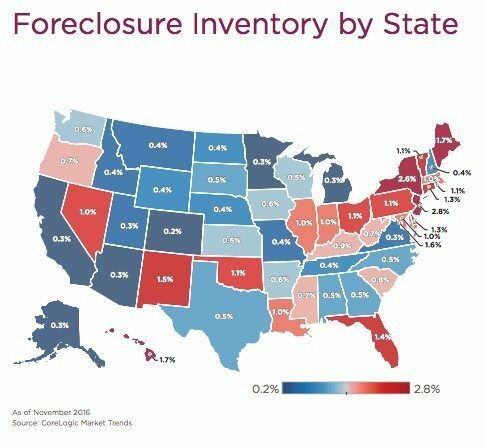 The foreclosure inventory in November 2016 was down 2.4 percentage points from October 2016. This indicates a 25.9 percent year-over-year decline. There were 26,000 foreclosures completed in November 2016. The national HPPI shows appraised values were 1.33 percent lower than homeowners estimated in December 2016. 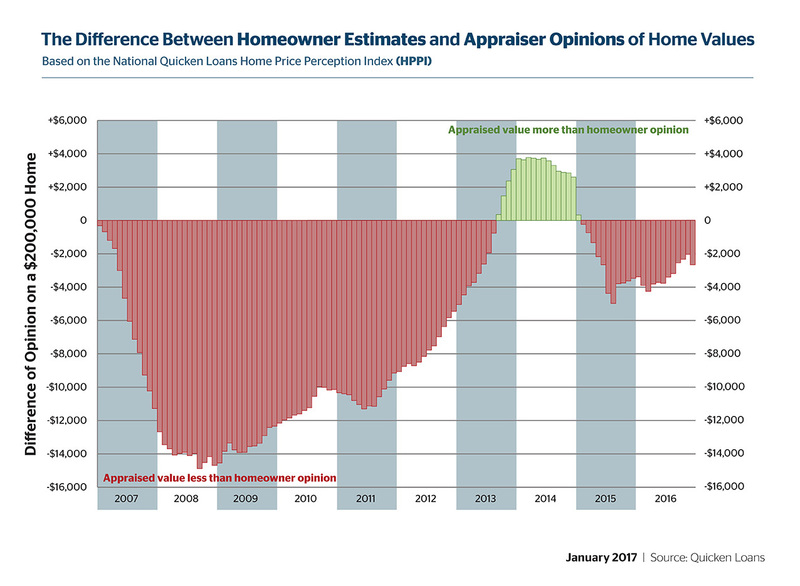 This indicates a widening of opinions between appraisers and homeowners. Home values fell 1.19 percent in December, but increased 3.85 percent year-over-year. 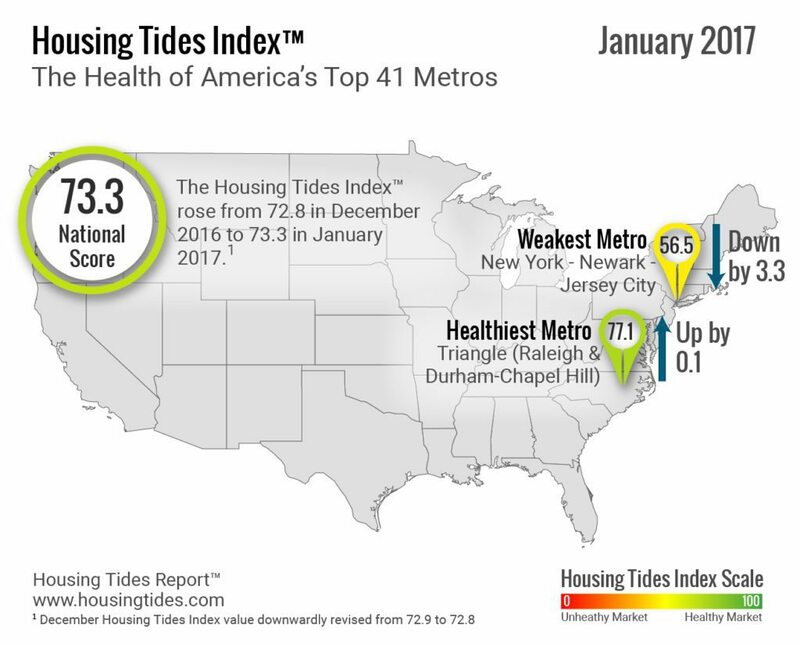 The Housing Tides Index rose from 72.8 in December to 73.3 in January. The ratio of U.S. housing permits to changes in total employment improved for the year ending October 2016. However, at a ratio of 0.46 housing permits per new job created, housing production remains too low to meaningfully slow price increases or return to a balanced inventory level.